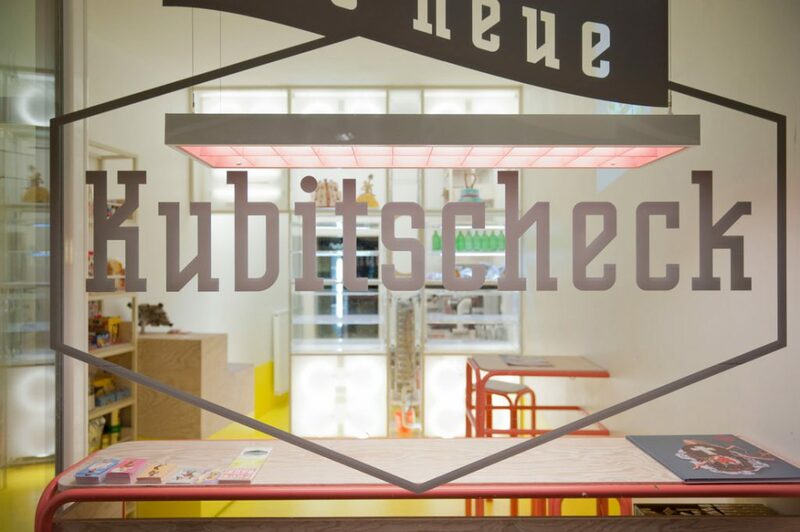 The bakery and pastry shop Kubitscheck in Munich is famous for its unusual decor and its amazing cake creations. 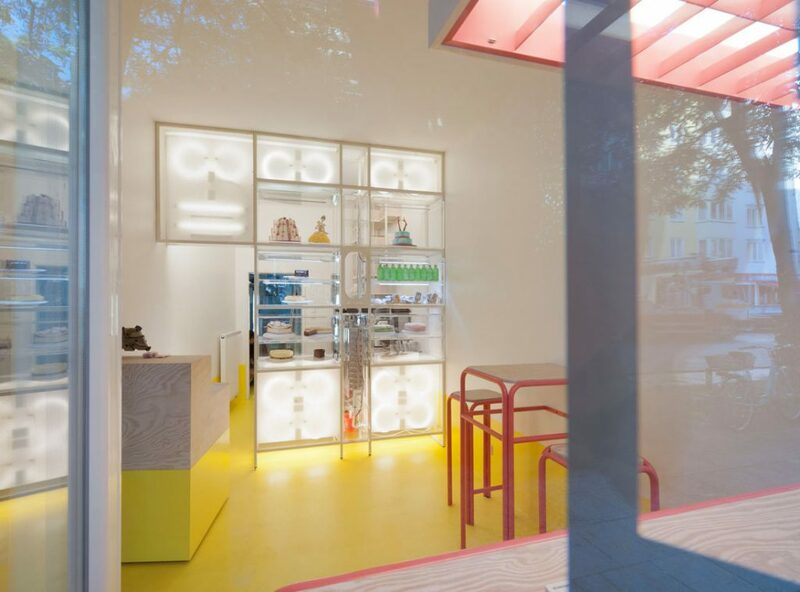 The store in the Buttermelcherstrasse ist their third outlet. 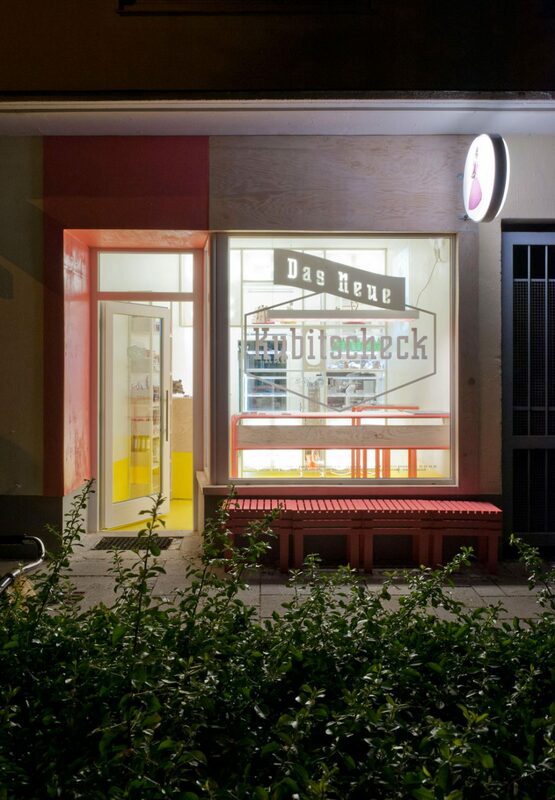 The gastronomical concept for the small premises limits itself to take out cakes and online orders. Our idea was to imitate the counter area well known from bank halls or train stations that allows for quick service of many customers. Furthermore, we wanted to demonstrate the Kubitschecks fondness of experimentation – the patisseur as the crazy professor in a bakery lab. 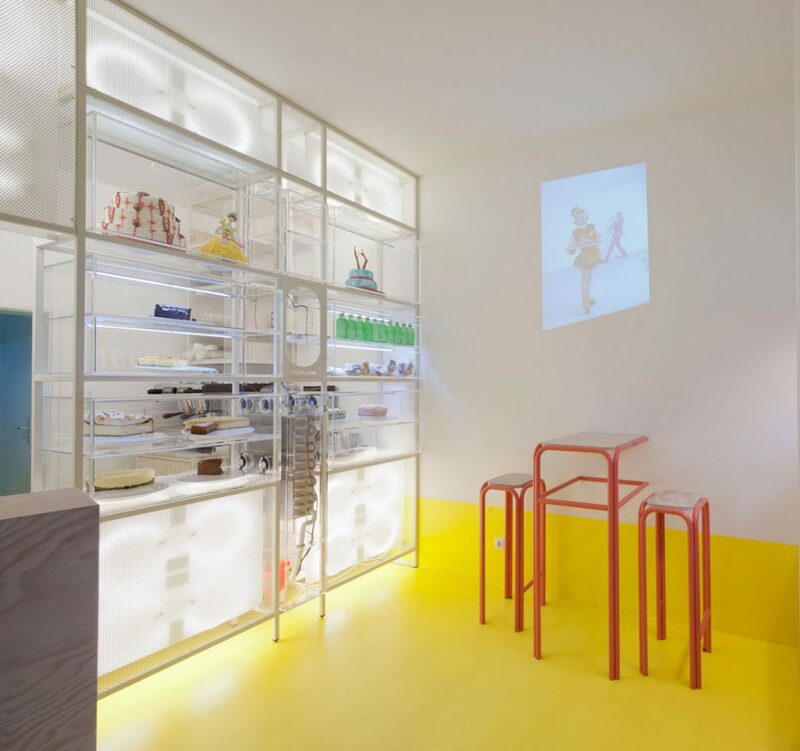 lot llov together with the contractor developed a refrigerated display counter that doubles as a room divider. A narrow acrylic building block contains the refrigerating unit which blows the cold air in the individual containers. The customer faces a wall of acrylic terraria with tarts and cakes inside. The top containers show fake tarts exclusively. The furniture has the function to lead the customer clockwise to the ordering window. A wooden building block at the lefthand side serves as check out and cash register. The CI- colour of Kubitscheck’s is dusky pink. Together with sulfurous yellow, white and the maritim pine this was supposed to give the store particular character that distinguishes it from the other branches. Due to the fact that the sales area is so limited, we integrated the facade into our concept, to catch the attention of the passers-by.